Illustrations published by The New York Times, The Washingon Post, Forbes, Fortune, and some personal work. Awarded a silver medal, Society of Illustrators 52nd Annual Exhibit. Episode #20, Welcome to the New World. by Jake Halpern and Michael Sloan, for The New York Times. Episode #4, Welcome to the New World. 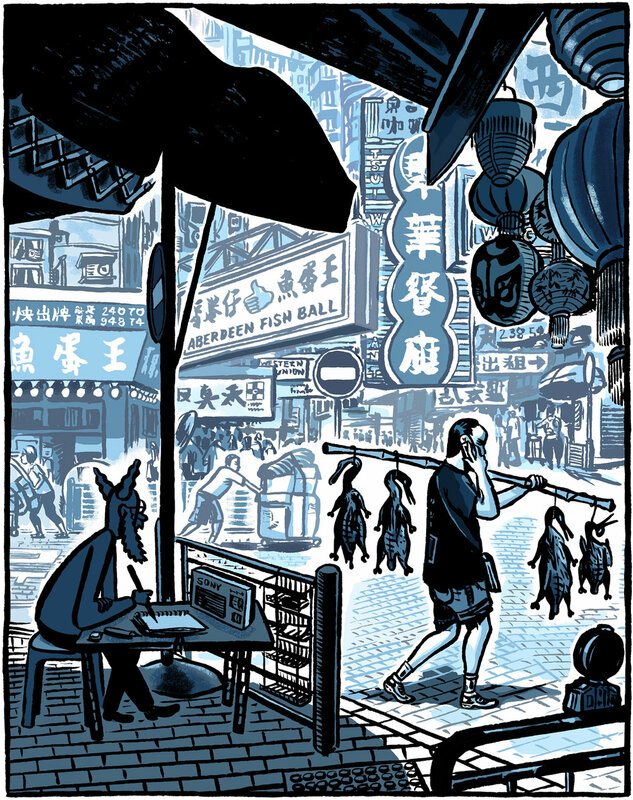 Panel from "Welcome to the New World" comic. Paul Motian arriving at the Village Vanguard, NYC. Poor quality TV programming: Who will watch? Food carts and their impact on the environment. 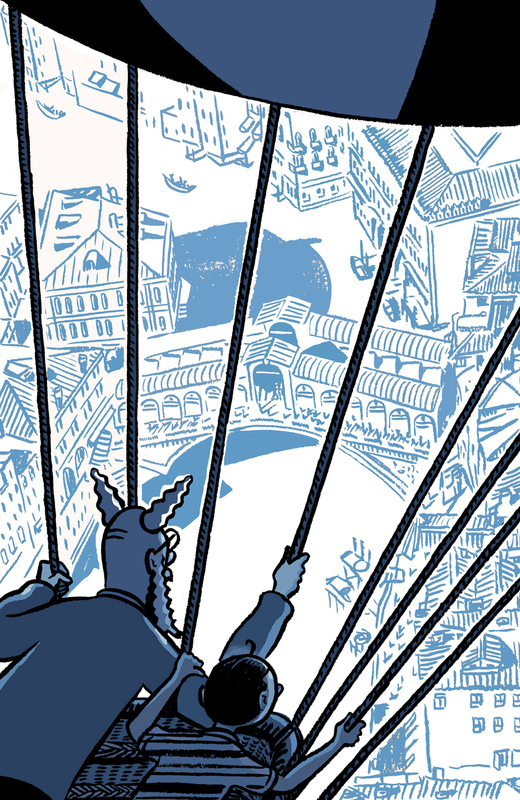 Unpublished art for an article on Utopia. Unpublished art for a theater review. Nimbus on Nathan Road, Hong Kong. My Extraordinary Dream, panels 1-4. Awarded a silver medal, The Society of Illustrators 54th Annual Exhibit. Hostile takeovers in the retail industry. Buy and hold investment portfolios: A dying strategy? India or China: Who pollutes more? Seen at Grand Central Terminal, NYC.